Donald Max Houghton married Reva Nell Cassity in Nov 22, 1947 at Elko, NV, USA. James Turner Houghton married Sarah Ann Bulter in Apr 7, 1906 at Salt Lake City, UT, USA, mar 4 y in 1910 census. 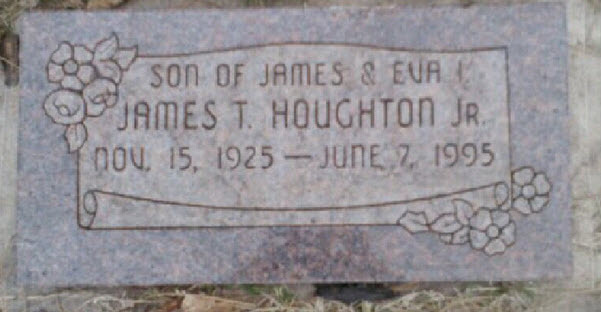 James Turner Houghton married Eva Isabel Weeks in circa 1921 age 20 and 27. 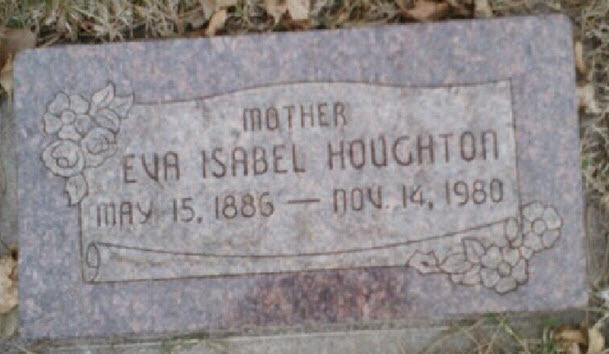 Eva Isabel Weeks married James Turner Houghton in circa 1921 age 20 and 27. Donna W. Houghton married Frank X. Fletcher in Apr 14, 1967 at Orange Co., CA, USA. Mildred E. (?) 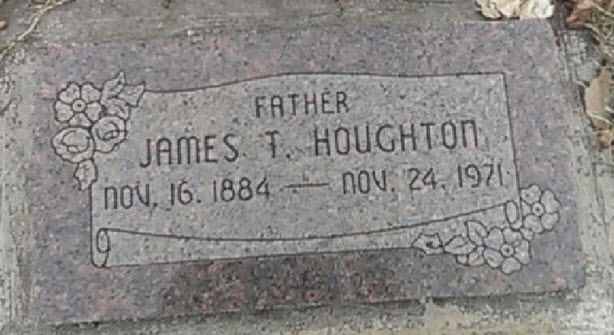 married Hollis C. Houghton, son of Harvey B. Houghton and Clara Agnes Smith, in circa 1930 age 24 and 17. Mary Houghton married Thomas E. Payson in circa 1891 mar 9 y in 1900. Thomas E. Payson married Mary Houghton, daughter of (?) Houghton, in circa 1891 mar 9 y in 1900. William Houghton married Sarah Jane Edmondson. Sarah Jane Edmondson married William Houghton. William John Wesley Houghton married Selena Nelson. Arno Oliver Houghton married Beatrice Irene Edwards. Lizzie (?) married Andrew Arlin in circa 1888 mar 12 y in 1900. Andrew Arlin married Lizzie (?) in circa 1888 mar 12 y in 1900. Zoe (?) married Louis Hebert in circa 1853 mar 47 y in 1900. Julia K. (?) married Amos J. Houghton in circa 1892.